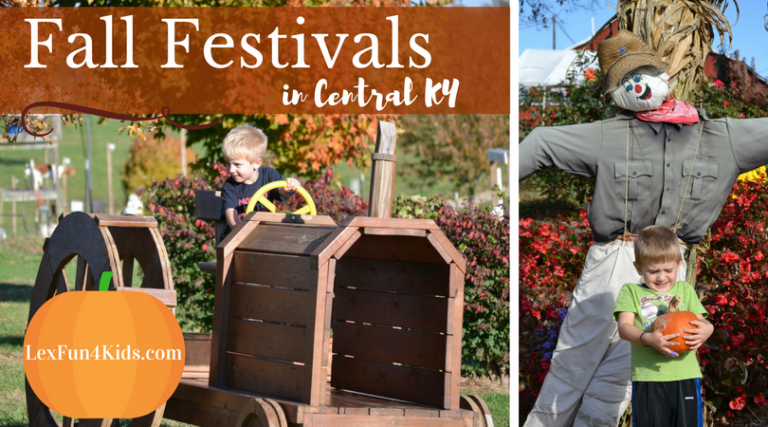 Your Go To Guide to Fall Festivals and Halloween Fun in Lexington and Central KY!! General Admission. $11.99 plus sales tax. 2 years and younger are free. Allows all day access and as many visits as you wish to all of the following Adventures. Hayrides, Spooky FarmHouse, Enchanted Barnyard, Pirates Cove, Trike Track, Barnyard Babies, Lost Pumpkin Mine, li’l Pumpkin Play Patch, The Bird House, Bunnyville, Cowboy Corral, Billy Goat Mountain, 5 Acre Corn Maze, Sky High Slide, People Spinners, Bi-Water Ball Park, Pumpkin Vine Zip Lines, Bounce Around Corral, Chutes & Slides. Celebrate the harvest! Search for your favorite pumpkins and other fall produce at our festival. Enjoy a family day full of memories. Schedule your parties and events. October 4–7, 11–14, 18–21, & 25–28, 2018. The Party features costumed characters for guests to meet and greet in fanciful, larger-than-life storybook scenes. Trick-or-treating is offered for kids 11 and under. In an effort to be “green,” the Zoo requests that children bring their own trick-or-treat bag to the event. The Zoo will not provide bags, but reusable cloth bags will be available for purchase for $2 in the Zoo’s gift shop whiles supplies last. Celebrate all things apple and kick-off the fall season with a down-home harvest celebration for the entire family! Take a hayride, climb hay stacks and compete in the farm Olympics. Shop for honey, breads and jams at the Harvest Market, then meet the farm animals and tour the apple orchard. Enjoy live music, food trucks and much more! Included with admission. It’s that time again for Halloween herpetological fun! Come out any time during the day and enjoy a tour of the zoo, arts and crafts, extra exhibits, and spend some time with snakes and other reptiles from all over the world! It’s a perfect Halloween family fun day in the beautiful Red River Gorge! Each fall on the second Saturday of October, South Elkhorn Christian Church has one of the largest outdoor free craft shows in the Lexington area with over 150 booths presenting crafts of all kinds. Live music from 9:30 AM-3:30 PM. Admission and parking are both free. Bring your family and friends!!! McConnell Springs Little Goblins Galore! Party for the Pumpkins showcases all things FALL at The Arboretum. 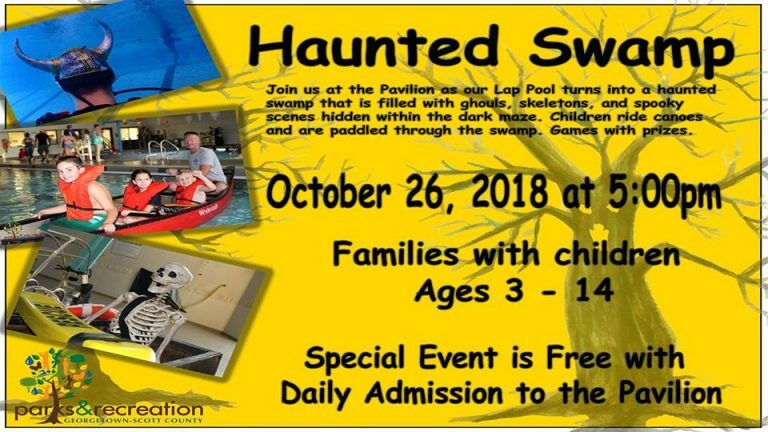 it is a fun event for the entire family, filled wth crafts, nature displays and pumpkins. 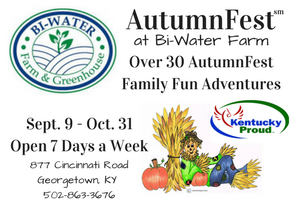 Admission to the Kentucky Children’s Garden is included with event admission. Admission price: $7 plus 6% sales tax ($7.42/person); discount for Kentucky Children’s Garden season members; under 2 years FREE. 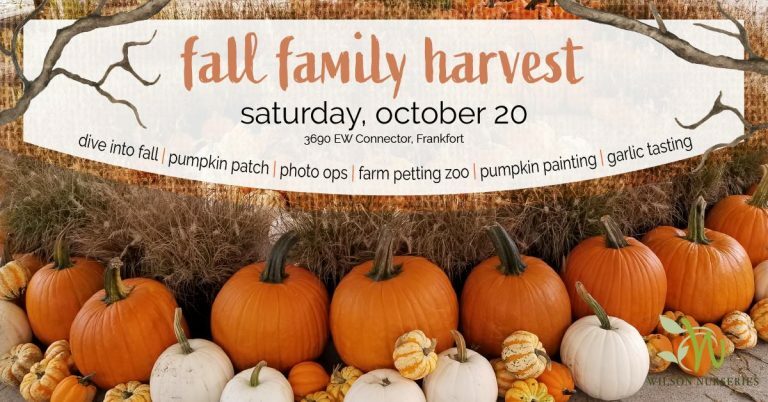 Admission includes crafts and activities; refreshment voucher; admission to Kentucky Children’s Garden; free pumpkin for each child 12 and under while supplies last. Free off-site parking and shuttles will be provided. Make waves at this fun Halloween party on the Kentucky River! Wear your costume and enter the costume contest, hear a spooky story, play games, and enjoy light refreshments and festive decorations on this family friendly cruise. All ages welcome! Children must be present with adult supervisor. Program fee includes one complimentary admission to Shaker Village and one voucher redeemable day-of for 20% off dining at the Trustees’ Table (excluding alcoholic beverages). Dining reservation recommended to assure availability – 800.734.5611 x 360. Recommended to arrive 15 minutes prior to launch. Boat will leave promptly at the designated start time. 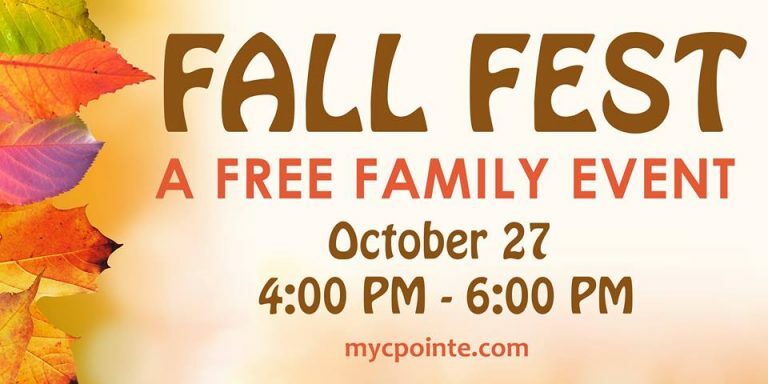 Join us for our Fall Family Festival. We will have food, carnival games, popcorn, snow cones, face painting and a bounce house. And at the grand finale will be the Trail of Treats. 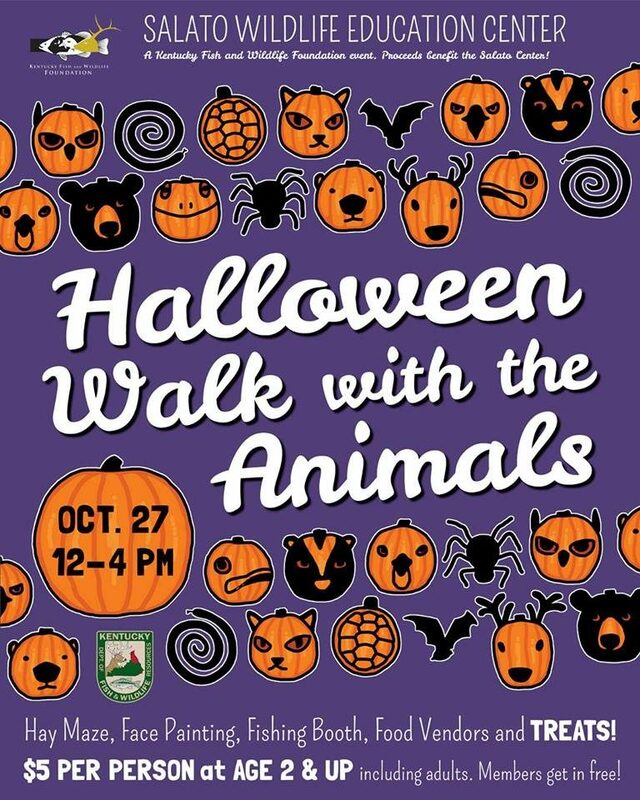 So, bring the kids out in their costumes and join us for this free event. Held in the RHR office garage at 1099 Duval Street Lexington, KY 40515. This is a FREE and OPEN TO THE PUBLIC event. 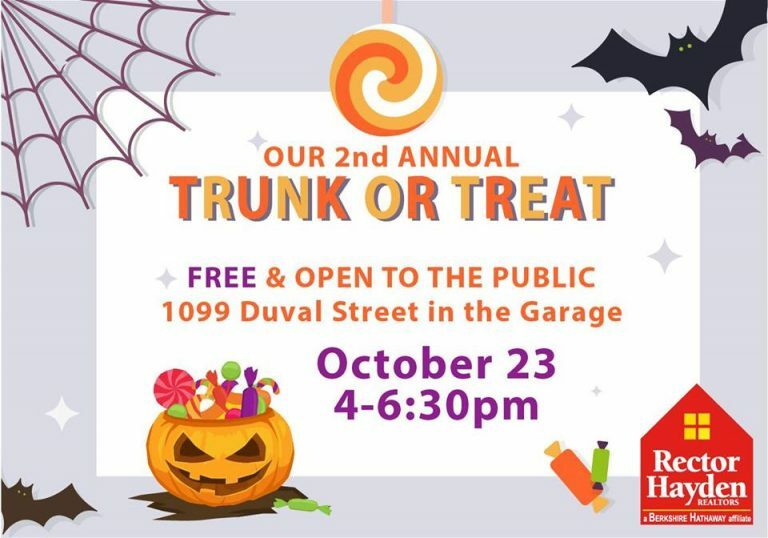 We will have cars parked in the garage with decorated trunks and plenty of candy for your little ones to walk around in their costumes. Come enjoy this family-friendly event with us! The Halloween Hoe-Down is a family friendly event designed for children ages 10 & under! The event will begin at 6:00 pm and continue until 8:00 pm. Free activities include kid’s games, prizes, contests, inflatables, a petting zoo, walk-around characters, and more! A special “Thank You” goes out to the Eastern Kentucky University Recreation & Parks Administration REC 460 Class for helping to organize the games, decorations, and contests this year. They will be using this as a service learning project. Come walk around Safety City and stop for treats and scares along the way. The event is free and open to the community. Bring the kids for a fun and spooky evening trek along the Village road, gathering treat and maybe even a trick or two! Take a hay ride, enjoy live music, food + drink, and warm up by the bonfires. Make a kids’ craft in-between candy stops and take part in our selfie station costume contest! Buckles, the Keeneland Kids Club mascot, will award Kids Club prize packages to some of the best costumes. An appearance by the Headless Horseman will occur in the Paddock at 9 a.m. and on the track during the race day. Put on your costume and join us from 12pm to 4pm for the best trick-or-treat experience in town! This kind-friendly Halloween event will include a hay bale maze, face painting, and – of course – plenty of candy! Kids will receive a “passport”, which they will get stamped at each exhibit after receiving a treat (or trick!) Our staff and volunteers will be on hand to answer your questions, and all of our indoor and outdoor exhibits will be open for viewing. Admission is $5 per person (ages 2+, includes adults). Annual membership holders* and infants too young to participate are free. *Note for Family & Friends Membership holders: five additional guests covered by membership will not be admitted free for this event. Canine treat stations sponsored by JCPL, Jessamine County Animal Shelter, Hollywood Feed and The Barkery, Doggie costume contest judged by the participants’ people, $100 gift cards for costume contest winners, Nail trimming and painting stations, Pet psychic, Opportunity to meet shelter dogs looking for homes, Free treats for humans too! 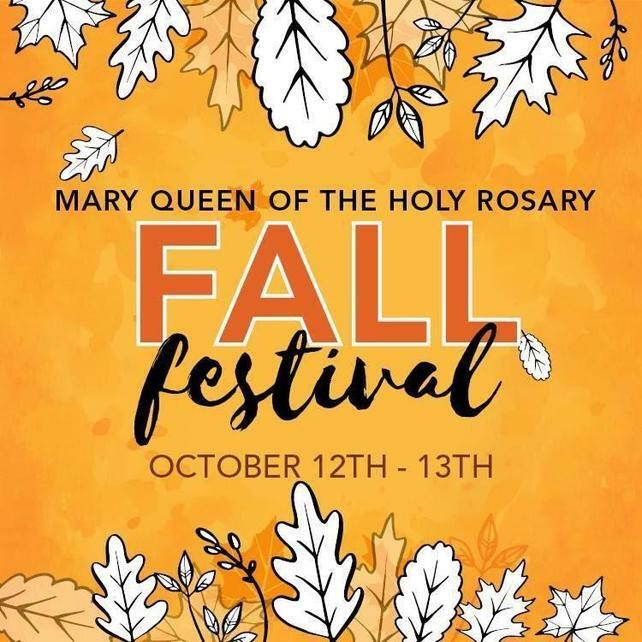 Fall is in the air, and we’re excited to host FALL FEST. One of our biggest community events of the year. 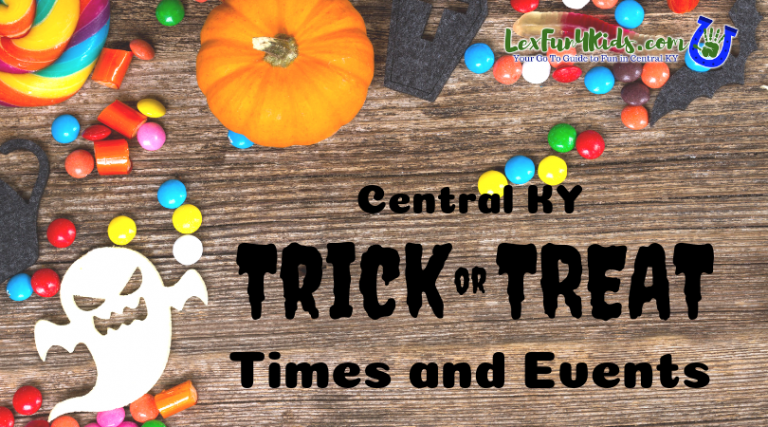 Don’t miss out on CP’s infamous candy launcher during the event- plus games, hayrides, face painting and more. This is a FREE, family-friendly event for the community! 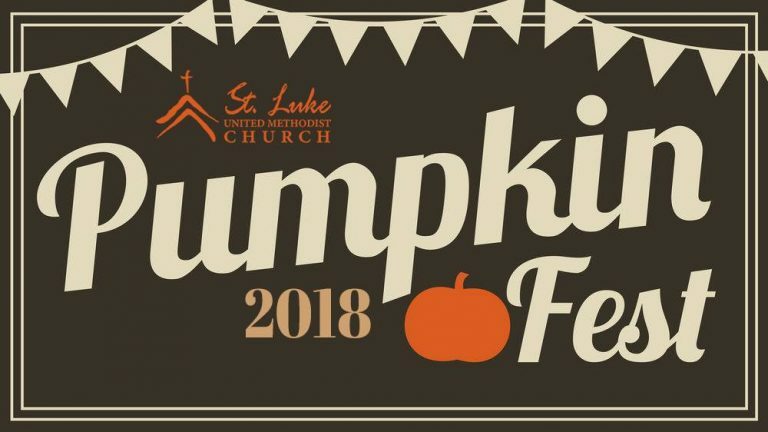 St. Luke will hold our 5th annual Pumpkinfest on October 27 with games, activities, and food (We will have food from Rico’s empanadas So come hungry and bring some cash!) from 5-6:30pm in our front parking lot (inside the Life Center in the event of bad weather) followed by viewing “It’s the Great Pumpkin, Charlie Brown” in The Loft on a giant screen at 6:30 p.m.! All are welcome! Contact our Director of Children’s Ministry, Susan, at scutshall@stlukeumc.org for more information or to sponsor a game or booth! Join us for Spooky Treasure Hunt, our annual afternoon of Halloween fun for all ages! Treasures and candies are just waiting to be found all across the museum’s grounds, and we need your help to find them. Wear your costumes for a costume contest, and be ready to make some Halloween-themed crafts, too. Tickets are $10.00/child in advance, $15.00/child at the door. 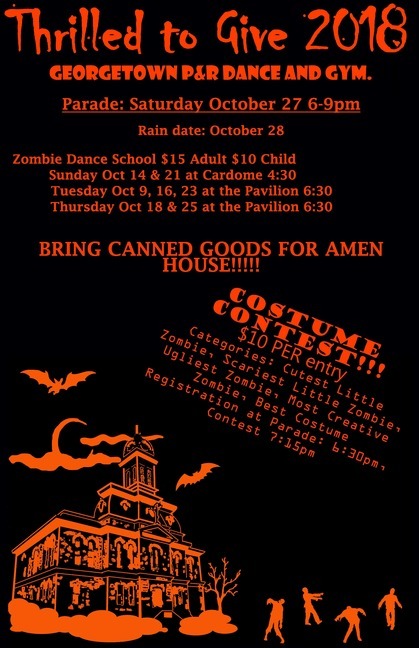 All children are invited to Broadway’s Fall Festival! 50+ Trunks of Candy, Mechanical Bull, 24-Foot Rock Climbing Wall, Train Rides, Cotton Candy, Popcorn, Chili Pies & Two Food Trucks (Bradford BBQ and an Ice Cream Truck)! No charge (except for the optional two food trucks) – parking at PNC Bank and Commonwealth Urology. More than 30 years after Michael Jackson’s groundbreaking video first aired, zombies and the non-dead still come together in downtown Lexington to celebrate Halloween by re-creating Thriller. Join us for this year’s PumpkinMania, which is becoming a Lexington Halloween tradition. We’ll light hundreds of jack-o’-lanterns on the steps of historic Old Morrison and have trick-or-treating, food trucks, live music and more. Trick-or-treating will start at 6 p.m. and the lighting will be at 7.